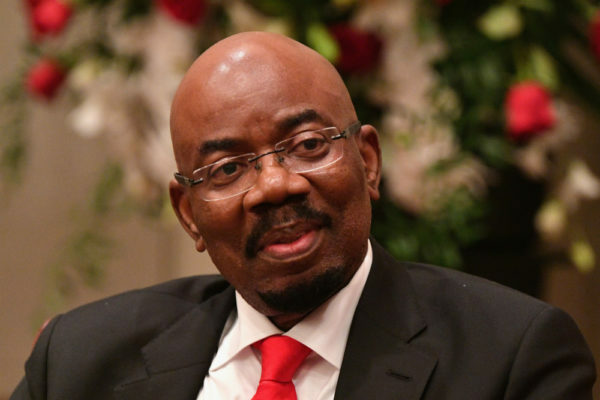 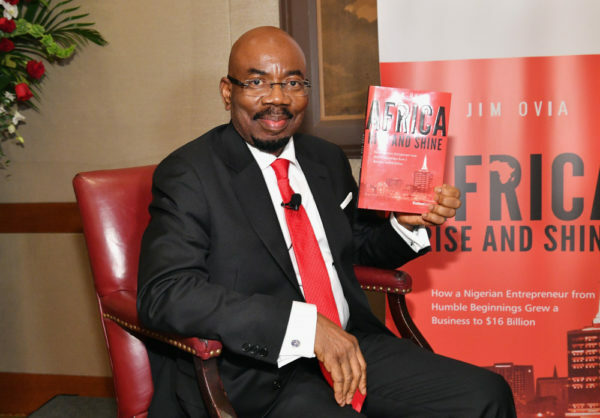 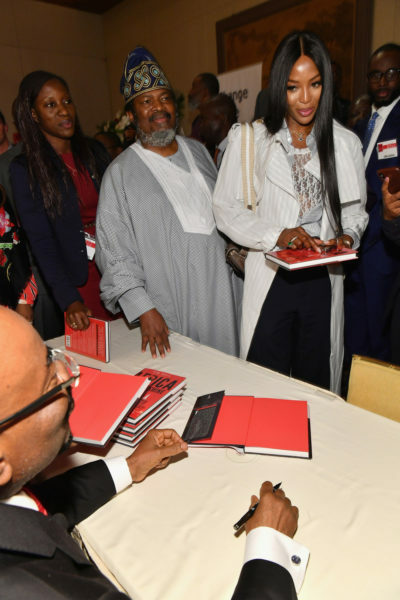 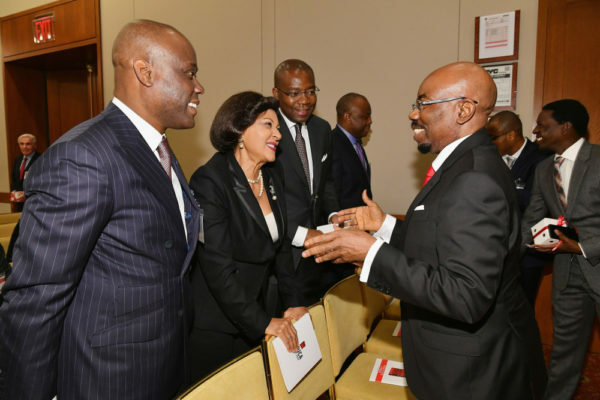 The Founder/Chairman of Zenith Bank Plc, Jim Ovia recently launched his book, Africa Rise and Shine in New York. 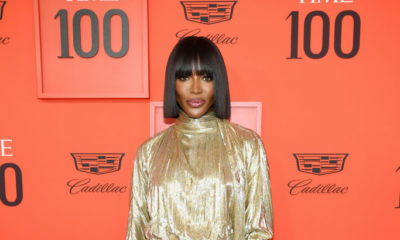 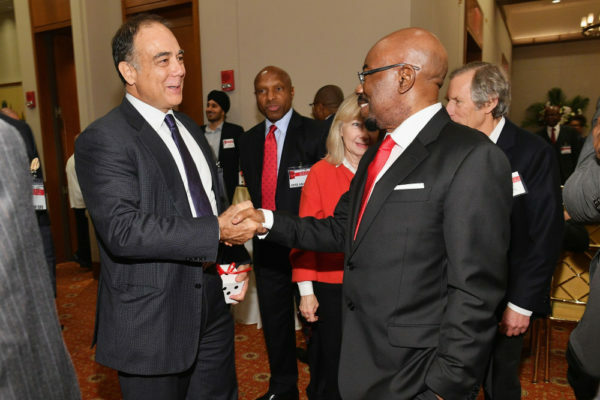 This prestigious event happened on the sidelines of the United Nations General Assembly and had foreign dignitaries and private sector captains of industry in attendance. 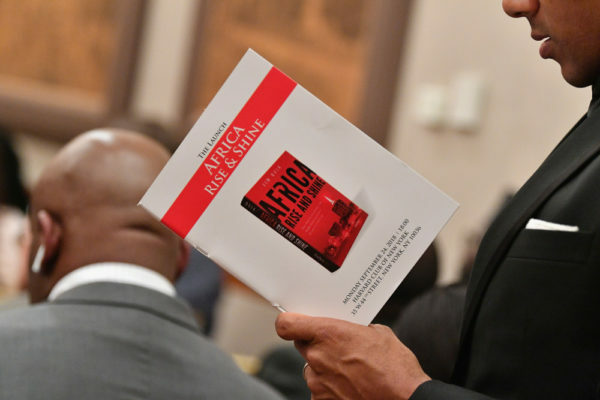 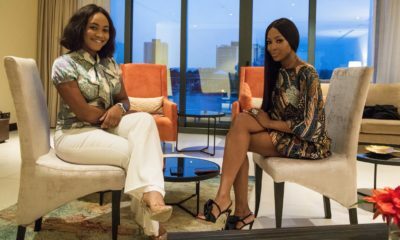 Earlier, Africa Rise and Shine was unveiled in Lagos at Eko Hotel and Suites on Monday, September 17th, 2018. 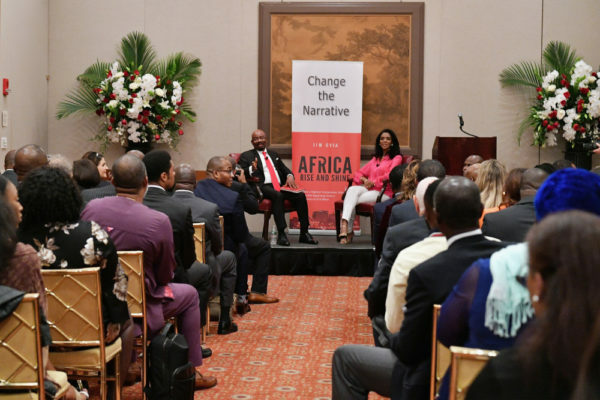 The event had Nigeria’s Vice President, His Excellency, Prof. Yemi Osinbajo, GCON (SAN), other government functionaries, traditional rulers and private sector stakeholders present. 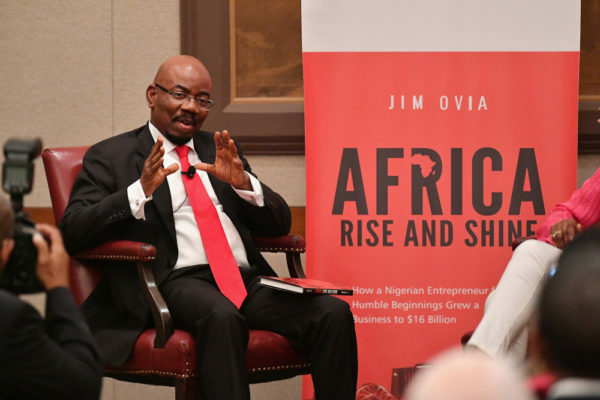 The Chairman of Flour Mills of Nigeria, John D. Coumantaros during a meet-and-greet with the Author of Africa Rise and Shine, Jim Ovia at the Book Launch in New York.